How to Avoid WeChat Privacy Leakage on iPhone? Have you ever handed over your iPhone (iPad) to another person or to your child and wished you could have restricted a certain app or apps before handing it over? You can actually restrict apps on iPhone or iPad and prevent your kids from accessing those apps. We have those apps that we would rather not have other people seeing them, and the best way to ensure that no one uses or gains access to them is by restricting them. There are various ways to restrict those apps on your iPhone. 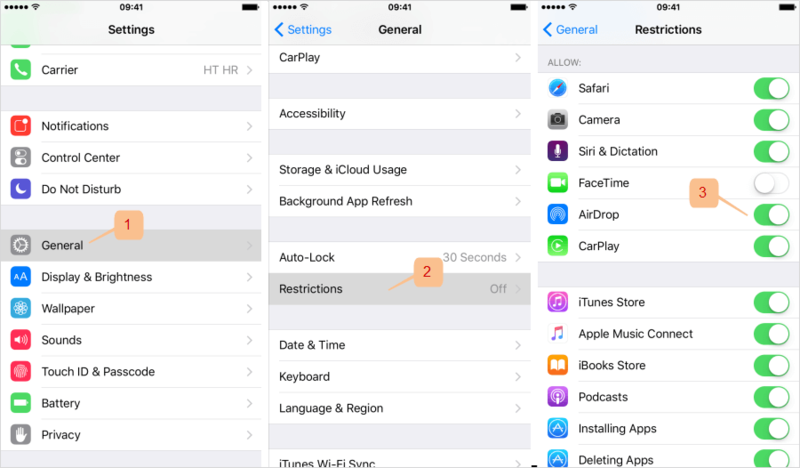 In this article, we are going to look at some of the various ways on how to restrict apps on iPhone (iPad). 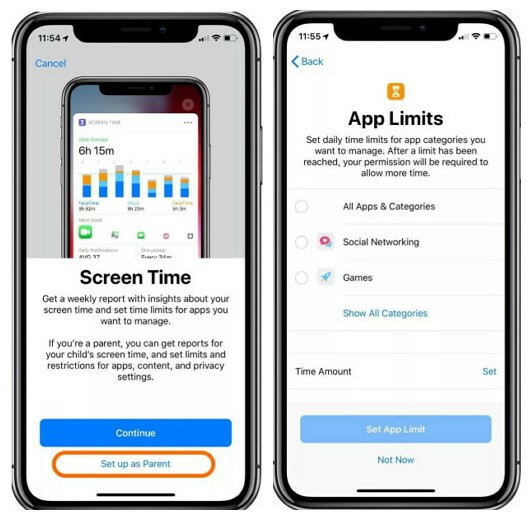 The Parental Controls also known as Restrictions on your iPhone allowing you to manage which apps, features, and content can and cannot be accessed on your iPhone. In other words, Restrictions give you the power to choose the apps other people can access or cannot access using your device. This feature also lets you set the Screen Time for particular apps. Step 2: Click on Set up as Parent. There will be a App Limits interface. Step 3: Check the apps you want to restrict and tap Set App Limit. By doing so, you will have restricted the apps and they will not be visible on your Home Screen. You can re-enable them by going through the same process. Step 3: Toggle the Switch next to the specific app you would like to turn off. 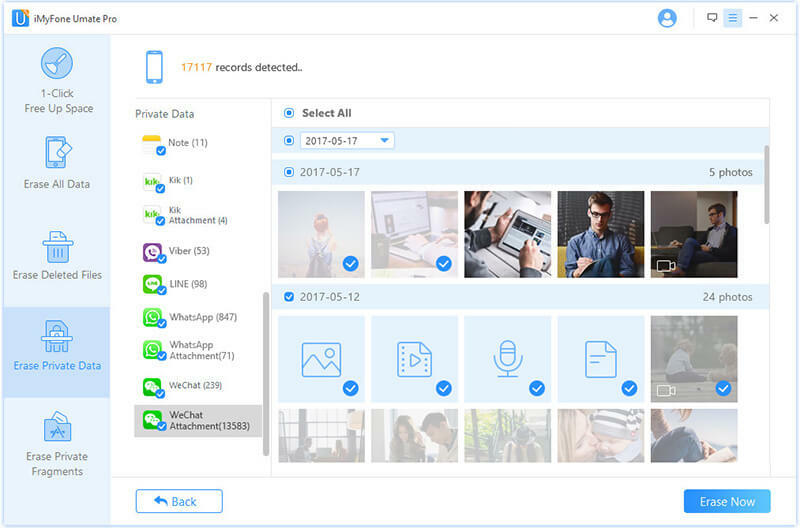 If you are worried that your private files and chats can get into the wrong hands, or someone might gain access to your applications and view your files, you can permanently erase your files using iMyFone Umate Pro. It is a software program that lets you protect your private files by permanently deleting them from your device. Preview and erase your deleted files and make them 100% erased without any chance of recovery. 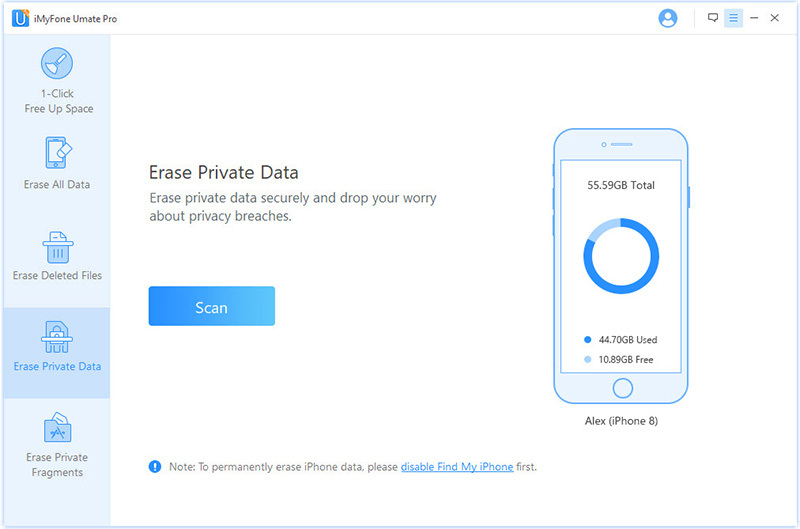 Helps you protect your personal data including messages, contacts, call history, photos & videos, browsing data, and more. 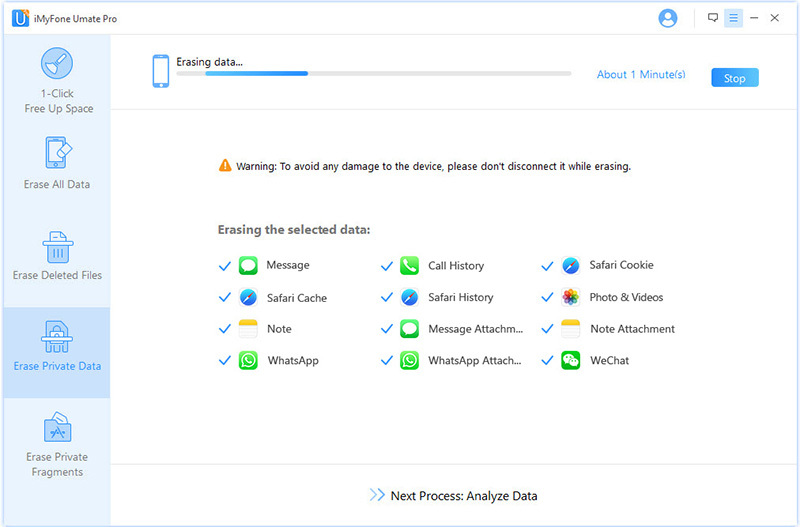 Erase all messages and attachments of third-party apps like WeChat, Kik, WhatsApp, Viber, and over 10 other apps. Step 1: Download, install and launch Umate Pro on your computer and connect your iPhone to the computer using a USB cable. 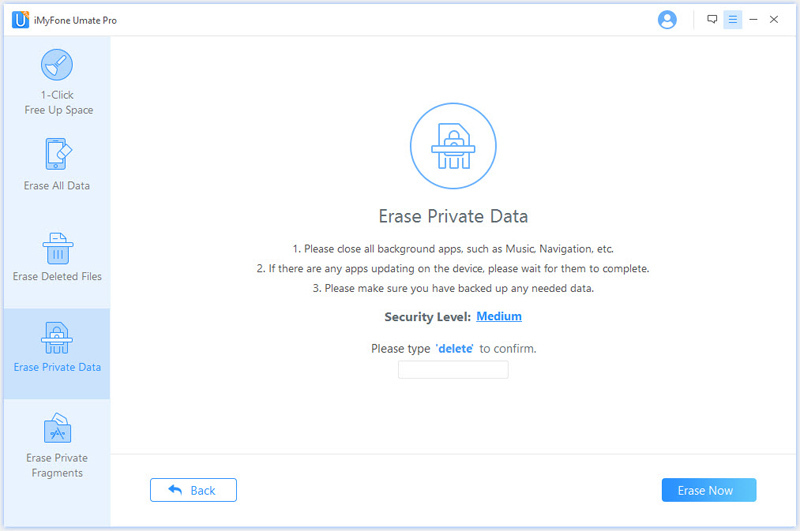 Step 2: After opening the software, click on the Erase Private Data tab. You will be required to scan the device. Click on Scan to commence the scanning process. This might take a few minutes to complete. 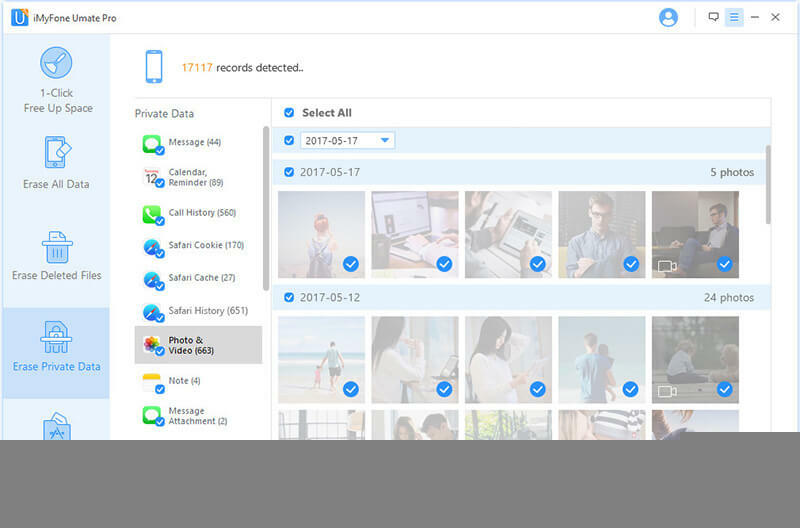 Step 3: Once the scanning process is complete, the Umate Pro software will display all the private data including social media accounts, call history, messages, photos, videos and so on. You can open the files to preview the data. You can then select the files you want to erase. You can then click on the Erase Now tab. Step 4: Select the Security Level and confirm. You will be required to type “delete” in the box provided to confirm the deletion. Read the security level settings before selecting a particular level. High security level is recommended here. Step 5: Erase data. After typing “delete” in the box provided to confirm that you want to erase your private data, you will have to click on the Erase Now button to completely erase the private data. Wait for the process to finish and you will have erased all private data on your device.